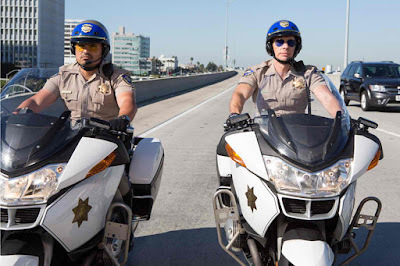 What happens when you team up a former X-Games star with a busted-up body and a painkiller habit, and an over-sexed undercover Fed with too much confidence, give them each a badge and a bike and set them loose on the sun-baked highways of Southern California? More to the point, if you’re writer/director Dax Shepard, you deliver CHIPS, a buddy cop comedy loaded with enough action, stunts and hard-R humor to push it to the legal limit. A running joke in the film, Jon’s touchy-feely observations contrast with Ponch’s more down-and-dirty commentary, like the way he has to enlighten his out-of-circulation partner on the current sexual scene—namely certain back door maneuvers Jon had no idea had gone mainstream.